As a trusted, nimble partner, we can move fast, think differently, and navigate the challenges that larger companies face in bringing innovations to market. 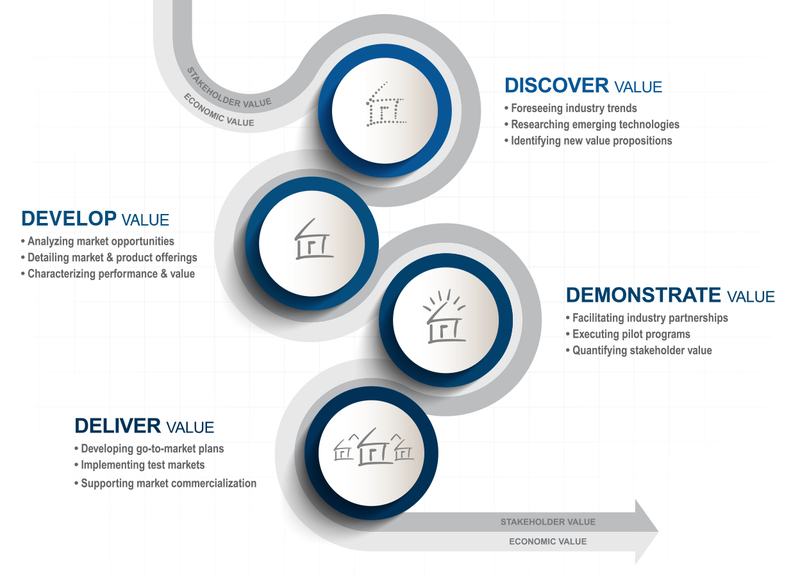 We know how to truly listen and dig deep to discover new ideas and define clear market opportunities and value propositions. We partner with our clients to develop, demonstrate, and ultimately deliver products and technologies that make a difference. The approach is simple, strategic, and built on a foundation of constant collaboration. It’s a way of thinking and a shared call to action that allows us to connect the right mix of people, knowledge and tools to drive the research of new ideas and develop meaningful value propositions for our clients. Through our PERFORM® program, we provide the tools and support to enable a builder’s organization to continually improve home quality, performance and profitability. Founded by IBACOS, the Housing Innovation AllianceTM brings together leaders in the housing industry to gain insight and a shared understanding that will move the industry forward.